As the home building industry celebrates Careers in Construction Month in October, we’re sharing the top reasons to consider a career in residential construction. A home builder relies on a number of trained workers to get the job done right. This includes dozens of skilled artisans and professionals, including carpenters, architects, engineers, plumbers, electricians, painters and landscapers. Analysis from the National Association of Home Builders shows that 70 percent of builders use between 11 and 30 subcontractors to build a single-family home. Indeed, there are many different trades you can pursue depending on your personal interests. As the housing market continues to strengthen, home builders across the country and here in Chattanooga and Hamilton County are seeking skilled workers to help them build the American Dream. This means there’s ample opportunity for motivated students seeking a rewarding career path. At a time when countless college graduates are finding themselves underemployed and saddled with crushing student debt, it’s important to know that earning a college degree is not the only road to success. A vocational education is equally rewarding and can be obtained at a fraction of the cost. Considering a career in residential construction? 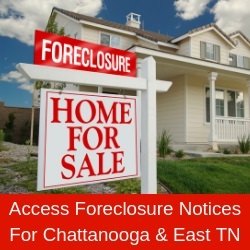 Contact the Home Builders Association of Greater Chattanooga at 423 624-9992 or visit its website at www.hbagc.net.